In the early years of my spiritually mismatched marriage when living with an unbeliever was confusing, frustrating and painful, I found hope in a small group. In fact, it was a women's Bible study group where I found others who would pray for me, encourage me and just share life with me. You can imagine then how humbled I am that many of you are gathering together in a small group setting to study our books, Winning Him Without Words & Not Alone/Raising Godly Kids in a Spiritually Mismatched Home. The books include a study guide and questions for personal or group study because that is what you told us was extra helpful. I am desperate for all of you, our friends in this community, to discover Jesus on every page of both of these books and to live in His victory in your marriage and parenting. The Lord has filled me with a passion to help anyone, everyone on the road behind me. I started this ministry in 2006 with this goal: That not one more person would waste as much time nor live in defeat for as long as I did. So, below is my humble offerings to help anyone who is willing to lead a small group study. A Leader's Guide: includes helpful hints for starting each week and weekly suggestions for discussion. 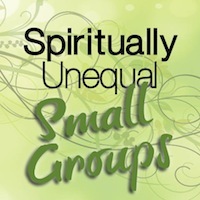 Small Group Agreement (I developed this and used it for years as a leader of Women's Bible studies. Scripture Prayers -For Self and those who need Christ. Click on the Resources tab for downloadable handouts and Leaders's Guides, sign up sheets and more. Today we are answering your questions that were posted the week of January 18, 2012 on our Facebook page. What do you tell the kids when they ask, "Why doesn't Dad go to church." Why isn't there marriage in heaven? How do you parent your kids when you and your husband see parenting so different. The boundary between submitting and serving vs. enabling. How do I keep hope alive when I my husband never responds. This particular video is 18 minutes long. There are more videos I hope you find encouraging and helpful. I would love to Skype in or conference call into your small group for an encouraging word and an open Q &A. Don't forget to encourage your group to be an active part of our community at www.spirituallyunequalmarriage.com and on our Facebook Page. And encourage each of your group members to find a prayer partner either within your small group of ask Chrisy Edney for help. My friends, all of these resources are helpful but the most important part of a study is LOVE. Let the love of Jesus fill you up and let it flow out to those in your small group. I cannot begin to thank you for your heart to serve others, especially those of us who are unequally yoked. We have been overlooked, ignored, even outcasts in the body for a long, long time. But, no more. Jesus sees our faith, our heart and our desire to know Him and to thrive in our marriage. Jesus sees our desire for our spouse's salvation and our children's. Please know that the numbers (attendance) are of little consequence to Jesus. Many would like to attend but struggle with the lable "unequally yoked." Don't you worry about the numbers, you serve those who sign up because God loves them and has called you to show them hope and healing through His transforming love even in the midst of overwhelming circumstances. From the bottom of my heart, please know that I treasure you and pray for all of the small groups. Mostly Jesus want's to say to you, "Well done good and faithful servant." O Lord, Almighty God, I bring each small group leader before you as they prepare to lead others to your promises, your hope and your healing for their lives. God anoint them with the Holy Spirit fire to share truth, give courage, encourage others and to live their faith with boldness. Lord, bless them richly for their efforts. Father, protect them from the enemy and protect their family. 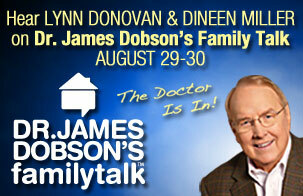 Seal their marriage and family under your divine power and provision. Let them laugh and cry and grow more in love with you as they serve for a season those of us who live with hope in our unequally yoked marriage. In the powerful, life-tranforming name of Jesus. Amen.